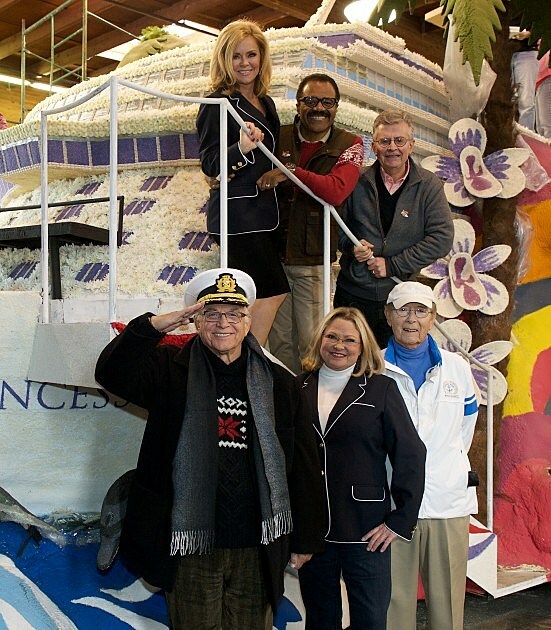 The original cast of “The Love Boat” gathered to help decorate Princess Cruises’ Rose Parade float as part of a reunion Tuesday. “The Loooooove Boat … ” was the familiar refrain that greeted viewers to start each episode of the ABC-TV series, which ran from September 1977 to Feb. 27, 1987. The pilot episode of sitcom was shot aboard Princess Cruises’ 730-passenger Sun Princess, with Pacific Princess and Island Princess also used. Later episodes and specials were filmed aboard many of Princess’ other cruise ships. 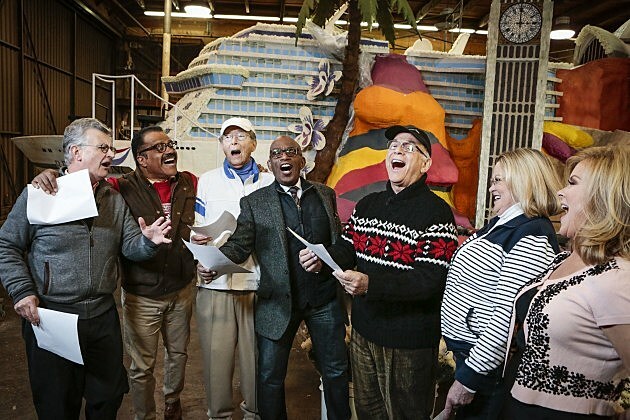 Princess Cruises celebrated that starring role with its “The Love Boat” reunion in Santa Clarita, Calif. The cast is riding on Princess Cruises’ Rose Parade float in Pasadena, Calif., on Thursday as the cruise line celebrates its 50th anniversary, according to Princess Cruises. The show’s prime characters were Gavin MacLeod as Capt. Merrill Stubing; Bernie Kopell as Dr. Adam “Doc” Bricker; Fred Grandy as yeoman Burl “Gopher” Smith; Ted Lange as bartender Isaac Washington; Lauren Tewes as cruise director Julie McCoy; Jill Whelan as Vicki Stubing, the captain’s daughter; Ted McGinley as photographer Ashley “Ace” Covington Evans; and Pat Klous as Judy McCoy, Julie’s sister and her successor as cruise director. On hand for the reunion were Grandy, Lange, Kopell, MacLeod, Tewes and Whelan. The ensemble helped christen Princess’ newest cruise ship, Regal Princess, on Nov. 5 in Fort Lauderdale, Fla., to kick off the company’s golden anniversary year. The float is 60 feet long and 24 feet high, with more than 24,000 flowers and natural materials. Flowers include roses, orchids and carnations, dendrobs, tulips, cymbidiums, delphiniums, gerbera daisies. Regal Princess is covered in large white navy beans, white mums and button mums. The water is accented by dark blue and white iris. Potatoes, green grapes and seaweed is also being used on parts of the float, according to Princess Cruises. The Rose Parade will be broadcast live beginning at 11 a.m. EST Thursday on NBC, ABC, Univision, The Hallmark Channel, HGTV and RFD-TV.